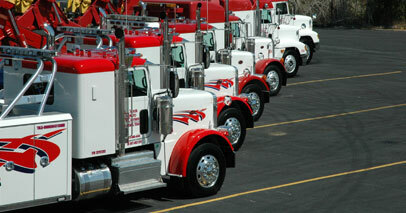 Texas Auto Carriers is the premier heavy and light duty towing fleet in Central Texas. Call us today for prompt, courteous and friendly service. Our operators are experienced and our equipment is clean and well maintained. Our towing fleet operates 24 hours a day moving heavy duty trucks, light duty trucks, cars and equipment. We can efficiently handle your vehicle or equipment recovery, your one-time break down or we can provide your fleet with an exclusive agreement which provides you with peace of mind and security knowing your drivers have someone to call when they have a problem.